Just notes on installing jekyll, because I keep forgetting how. 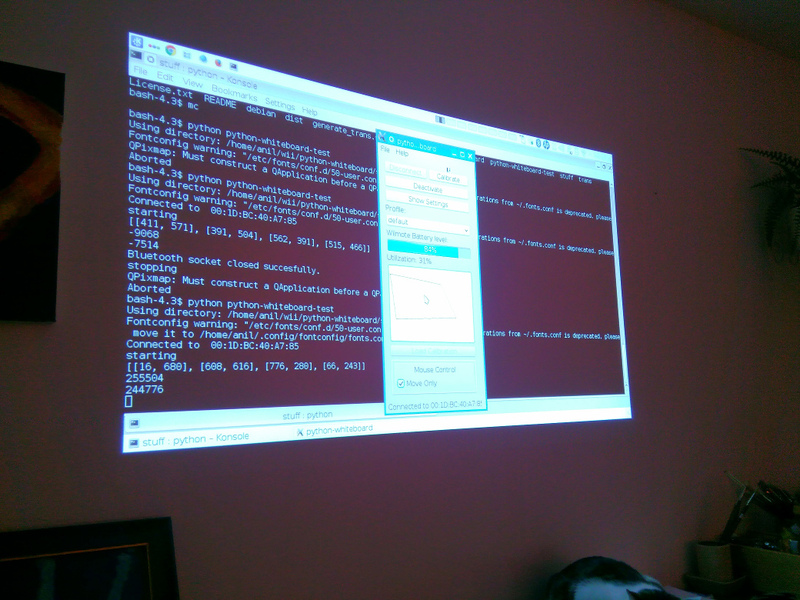 Just a first trial of using python-whiteboard with a stock Wii Remote (those things run on bluetooth) and a screen projector on a wall. As an infrared pen – a TV remote.